"You don’t say that. And, by the way, if you said it by mistake, that’s a sign of who you really are." 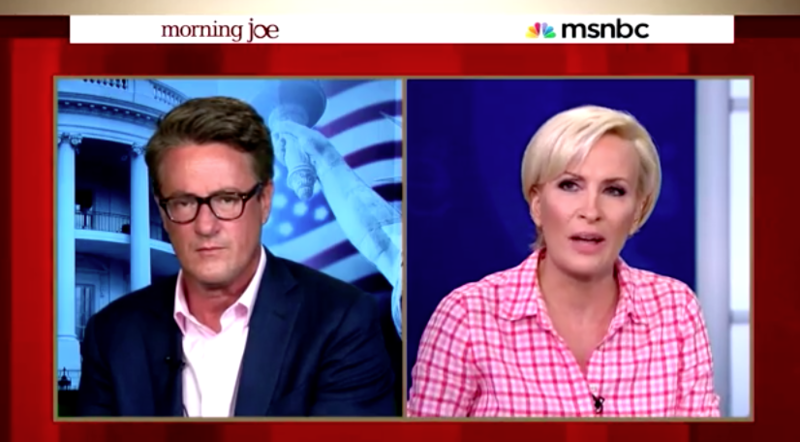 Reacting to GOP presidential candidate Mike Huckabee‘s offensive Holocaust analogy about the Iran nuclear deal, which the Anti-Defamation League has labelled “completely out of line and unacceptable,” MSNBC’s Mika Brzezinski sounded off on the insensitivity of his remarks on Monday’s edition of Morning Joe. Brzezinski, whose grandfather served as a Polish diplomat in Germany during the rise of Nazism, was visibly upset as she blasted the former Governor of Arkansas — even going so far as to call for the candidate to drop out of the 2016 race. If you’ve been to Auschwitz, if you’ve been to Birkenau, if you’ve been to any of these places where people were killed, and you see the piles of glasses, the piles of hair, the piles of shoes, and the piles of clothes and every bit of their humanity that had to be stripped away, handed over, as they went and then burned to their deaths, among other things, it’s really not a good comment to say. It’s a deal breaker! It should be over for him. You don’t say that. And, by the way, if you said it by mistake, that’s a sign of who you really are. Watch clip, courtesy of MSNBC.